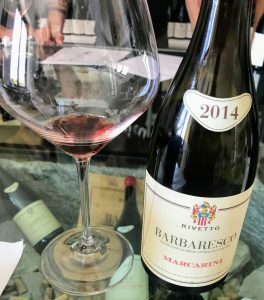 A few quick thoughts on the 2014 Rivetto Barbaresco from the Marcarini vineyard. The Rivetto family has been producing wine in the Langhe region for four generations. Their origins began with Giovanni who made wine for a food shop in Asti in the late 19th century. Today the family’s estate includes 15 ha (37 acres) of vines based in the Serralunga d’Alba region of Barolo. Giovanni’s great-grandson, Enrico, runs the winery. In 2009, Enrico started moving his family’s estate towards organic viticulture with Rivetto certified entirely by 2013. In 2015, the estate subsequently started experimenting with biodynamics. However, the fruit for the 2014 Marcarini is sourced from a grower who practices organic viticulture. Alessandro Masnaghetti’s very excellent book on the vineyards of Barbaresco, Barbaresco MGA, notes that the Marcarini cru is surrounded by the crus of Ferrere (northeast), Vallegrande (east), Casot (southeast) and Pajorè (southwest). Other producers who source fruit from Marcarini include Marcarini (actually based in La Morra in the Barolo zone), Ca’ del Baio, Elvio Pertinace, Giuseppe e Figlio Mascarello and Nada Giuseppe. This Barbaresco is very spice-driven, especially on the nose. High-intensity nose. Lots of spice going on ranging from tobacco spice to the fruitcake spices of cardamom, nutmeg and allspice. Also a little black pepper as well. Underneath the spice is some red fruit and herbal notes. Not quite defined yet. On the palate, those spices carry through with the red fruit becoming more defined as cherries. High acidity amplifies their presence and makes the wine very mouthwatering. Medium-plus tannins are somewhat soft for a Nebbiolo but balance the medium-plus bodied fruit well. Moderate finish brings back the herbal notes. However, the mouthwatering cherry lingers the most. The softness of the tannins for this relatively young Barbaresco surprised me. However, it certainly has the acid and fruit structure to continue developing. At $40-50, it’s a decent value for a spicy wine that is enjoyable now. But really you are banking on its potential to deliver a lot more. Tagged Alessandro Masnaghetti, Barbaresco, Barbaresco MGA, biodynamic, Ca’ del Baio, Casot, Elvio Pertinace, Enrico Rivetto, Ferrere, Giuseppe e Figlio Mascarello, Marcarini, Nada Giuseppe, Nebbiolo, Organic viticulture, Pajorè, Rivetto, Serralunga d’Alba, Vallegrande. 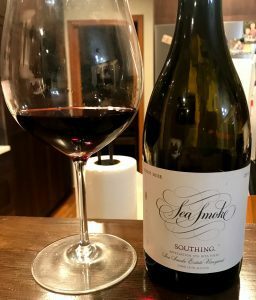 A few quick thoughts on the 2014 Sea Smoke Southing Pinot noir from the Santa Rita Hills. Bob Davids founded Sea Smoke in 1999, planting over 100 acres on south-facing bluffs overlooking the Santa Ynez River. The name comes from the cool Pacific fog that funnels into the Santa Rita Hills each day and tempers the ripening of the vines. In 2016, Sea Smoke acquired the neighboring Rita’s Crown Vineyard which allowed them to expand their holdings to 144 acres of mostly Pinot noir planted to 10 different clones. Focusing exclusively on estate production, Sea Smoke sells a limited amount of grapes to other wineries such as Foxen and Brewer-Clifton. Until 2008, Sea Smoke’s winemaker was Kris Curran. When she left to join the Foley Wine Group, her assistant, Don Schroeder, took over winemaking and is still in charge today. The 2014 Southing is sourced from Sea Smoke’s estate vineyard that has been biodynamic since 2013. The wine was aged 16 months in French oak barrels (55% new). Across all their wines, around 13,000 cases a year are produced. The overt oak and chocolate espresso notes dominate this Pinot. Medium-plus intensity nose. Noticeable oak vanilla and chocolate espresso notes. Underneath is some dark fruits–black cherry and plum. Smells more Merlot-like than Pinot. On the palate, the oak certainly carries through with baking spices of clove and nutmeg joining the vanilla, chocolate and toast. 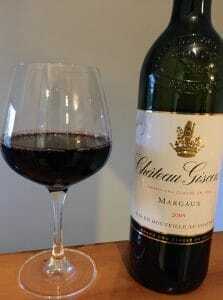 Medium acidity gives some lift to the full-bodied fruit but not enough to balance the sense of sweetness. Ripe medium-plus tannins are very velvety. Long finish lingers on the oak, particularly the chocolate espresso flavors. I fell in love with Sea Smoke’s wines ten years ago and was excited to join their mailing list. But, unfortunately, these last few vintage releases have been underwhelming and I’m going to leave their list soon. Only the color would keep me from thinking this was a Merlot. While this 2014 Southing would be a decent $40-60 Napa Merlot, it’s not quite what I’m looking for in an $80-100 Pinot noir. Tagged biodynamic, Bob Davids, Brewer-Clifton, Don Schroeder, Foley Wine Group, Foxen, Kris Curran, mailing list wine, Pinot noir, Rita's Crown Vineyard, Santa Rita Hills, Sea Smoke. Sip or Spit? How seriously should we take these wine predictions for 2019? Of course, the value of such predictions rests in the quality of the source. I’ve always found the folks at Wine Intelligence, a UK consulting and research firm, to be sharp tacks. So I ascribe a little more weight to their assessments than I do other sources. Still, while there were some thing from their Five Predictions for 2019 worth sipping, there were others I certainly spat out. As I noted in my article The Kids Will Probably Be Alright — Looking at Generation Z Trends, I don’t buy into the idea of Gen Z as the “teetotaler generation”. It is far too early and too small of a sample size to make that assessment. For Christ-sakes, 95% of them are still under 21! I surely hope that most of them are teetotaling right now. However, I do think that the trend of “Drinking Less, But Better” that we’re seeing in the Millennial generation will continue with Generation Z. Alcohol is expensive and is full of calories. It’s clear that my generation, and likely the following one, have been adopting the mindset that if we’re going to spend the money and calories on something, it better be worth it. Which is a good thing and something that should serve as a curb to the idea that moderate consumption of alcohol (like wine) is incompatible with a healthy lifestyle. That “incompatibility” seems to be the crux of the scare reports of Generation Z and Millennials turning away from alcohol. Ramen–the lifeblood of the broke Millennial. Also a great pairing for under $15 Cru Beaujolais and Chenin blanc. Yeah, we might be turning away from weekend keggers, cheap jug wine sangrias, Smirnoff and Fireball jello shots, but what we’re turning to is more mindful moderate drinking. Younger generations, like myself, are not drinking for the sake of drinking. We’re looking for something more than just a buzz. Growing up in the age of technology and easy access to knowledge, we’re aware of the risks of binge drinking. But we’re also aware of the benefits of moderation. Plus, our “foodie” nature is far more incline than past generations to embrace the role of a glass of wine in enhancing the pleasure of even everyday meals—like ramen noodles. So while bulk and mass producers may have reasons to worry about the upcoming generations, I don’t think quality minded producers need to fret as much. This prediction is based on Wine Intelligence’s 2018 US Portraits report of wine consumers. I don’t have an extra $3500 to buy the full report and dive deep into what methodology led to that conclusion, but on the surface this doesn’t pass the “sniff test”. When you look at other observations and reporting, the level of wine knowledge among the average consumer has never been higher. For one, enrollments in wine certification programs have been booming. Google “Wine Appreciation Class” and you’ll get over 34 million hits, confessing to a wide interest among consumers to learn more. This is something that I touched on in my article It’s Raining Masters, about the influx of successful Master Sommelier candidates. (This was before the cheating scandal broke) We are in the midst of a golden age of wine knowledge. Yet, somehow, we’re getting “wine dumber”? Even the post’s author, Richard Halstead, acknowledges the counter-intuitiveness of his prediction. One theory they propose is smartphone reliance. That does makes some sense and has been debated in other contexts before. There is also the idea that the globalization of wine has brought more stuff to the table for the average consumer to know about. It’s no longer Napa, Champagne, Chardonnay, Cabernet and Pinot grigio. Now we’ve got Coonawarra, Franciacorta, Fiano, Touriga Nacional, Chenin blanc and so much more. 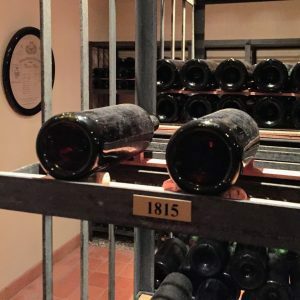 I suppose when you consider how much more is out there to learn and explore, the average wine consumer’s “overall” grasp of details may go down. But that is like comparing the “knowledge level” of a middle schooler with that of a college student. The former is exposed to far less. Of course, it is easier to “master” more of that knowledge within their little world. However, the later’s exposure to exponentially more gives the potential for even greater knowledge. While I’m open to hearing more thoughts on the matter, there so much counter-intuitiveness about this prediction that I’ll remain skeptical now. This I buy completely. It’s a topic that I explored earlier this year with my article What’s fine (and not so fine) about Vegan Wines. I have no doubt that we are going to see more wines labeled as “Vegan-friendly”. But I am concerned with the obsession over fining agents. Especially for people who adopt a Vegan-lifestyle for ethical reasons, it seems like a bigger quandary is to be had over viticultural practice like biodynamics that regularly employ the use of animal products. Furthermore, there are issues with what alternatives wineries may use to produce highly manipulated (though “Vegan-friendly”) wines. Unfortunately, this is a sad reality of business. Branding often trumps quality and care. 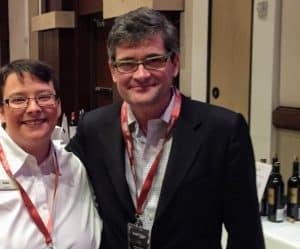 W. Blake Gray had a great article on Wine Searcher recently that highlights this as part of the Gloomy Outlook for Smaller Wineries. Gray ended the article with a very ominous quote from Dale Stratton of Constellation Brands. 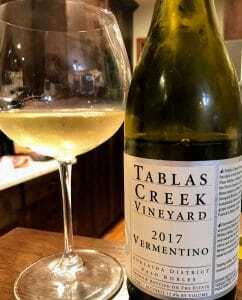 While not every winery can afford a fancy marketing department, it is imperative of every winery to focus on what makes them unique. For the small winery competing against the big mega-corps, your “brand” is your story and all the tidbits that set you apart from the mass-produced wines that line supermarket shelves. It’s simply not good enough just to make good wine. There are thousands of producers across the globe making wine as good, if not better, than yours. But what those wineries (and certainly what the big mega-corps) don’t have, is you and your story. Finding ways to weave yourself into the narrative of your brand is only going to become more important for small wineries to succeed. That is one of the reasons why it is a shame that many wineries have abandoned or don’t know how to successfully use social media platforms like Twitter. Does cannabis have terroir? We’ll probably be discussing that over the next decade. This is probably the surest bet that any prognosticator can make. For an industry that will happily dive into whiskey barrel aging and weird coffee-infused hybrid wines, you know that development is already well on its way towards releasing a cannabis-infused wine. The only question is, who will be first? Gallo or Constellation Brands? Gallo has been leading the way on a lot of these trends with their Apothic brand. They’re a solid contender and a likely choice. Part of the fun is guessing what they’ll call it. Apothic Blaze? Apothic Kush? However, Constellation Brands does actually have its own investments in the cannabis industry to the tune of $4 billion. I’d be more incline to wager on Constellation developing a stand-alone brand for cannabis-infused wine. But I honestly wouldn’t be surprised to see them roll it out under an established label, like Robert Mondavi, to try to give this trend more legitimacy. When that happens, be sure to pour one out for poor Robert spinning in his grave in St. Helena. Tagged Apothic, biodynamic, Cannabis, Constellation Brands, Dale Stratton, Gallo, Generation Z, Moët & Chandon, Richard Halstead, Robert Mondavi, Sutter Home, Twitter, Vegan wines, W. Blake Gray, Wine & Spirit Education Trust, Wine Intelligence, Wine Searcher, wine trends. 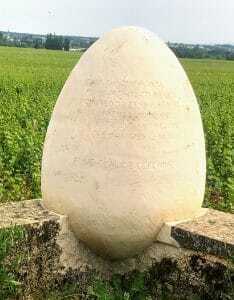 Egg monument in Bâtard-Montrachet erected by Anne-Claude Leflaive of Domaine Leflaive. 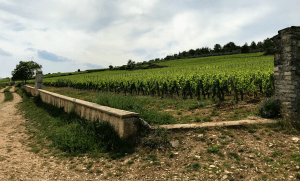 After examining the family tree and connections of the Coche, Boillot, Gros and Morey families, we now turn our attention to the Leflaives of Puligny-Montrachet. 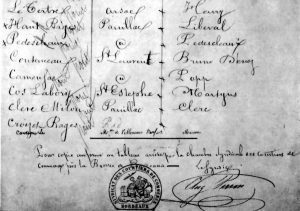 Tradition and the remnants of Napoleonic inheritance laws often mean that many estates in Burgundy share similar names. This can add to the confusion and complexity of studying the region so for this series we try our best to untangle a bit of that web–one family tree at a time. A new addition to that list which has been used heavily for this post is Clive Coates’ work Côte D’Or: A Celebration of the Great Wines of Burgundy. While older than Coates’ Wines of Burgundy (1997 vs 2008) I’ve found that the two books compliment each other really well with Côte D’Or offering more historical details and family connections while Wines of Burgundy fills in the gap for newer estates. 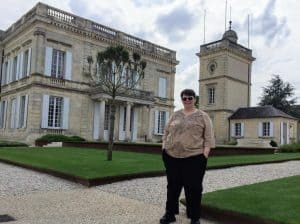 If you know of any other great resources on Burgundy wine and the various connections between estates, leave a note in the comments! Now let’s take a look at the Leflaives. 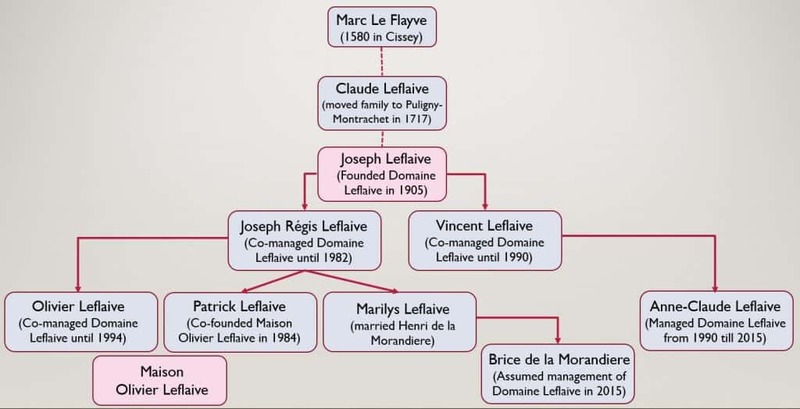 The Leflaive family’s history in the Côte de Beaune region dates back to at least 1580 when a Marc Le Flayve lived in the hamlet of Cissey between Beaune and Puligny-Montrachet. 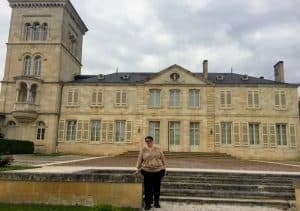 Following the marriage of Le Flayve’s great-great-great grandson, Claude Leflaive, to Nicole Vallée in 1717 the Leflaive family moved to Puligny-Montrachet. The Grand Cru vineyard of Bâtard-Montrachet has always been at the heart of the Leflaive family’s holdings. It was the son of this Leflaive, also named Claude, who acquired a choice 5 ha (12.4 acres) plot of Bâtard-Montrachet that was divided among his five children on his death in 1835. Seventy years later, his great-grandson Joseph Leflaive founded what is now known as Domaine Leflaive in 1905. A marine engineer by training, prior to devoting himself full-time to winemaking, Leflaive helped construct the first French-made submarine. 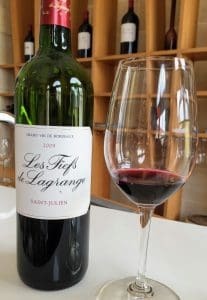 Starting with just 2 ha (5 acres) of vines, Joseph Leflaive greatly expanded the domaine over the next couple decades–often buying up vineyards that hadn’t recovered financially from the dual troubles of oidium and phylloxera from the last century. In the 1930s, the domaine was one of the first to regularly export their own bottlings to the United States. Following Joseph’s death in 1953, his children (Joseph Régis, Jeanne, Anne and Vincent) decided to keep their shares of the domaine together. Joseph and Vincent were the first to actively manage the estate. They were soon joined by winemaker Jean Virot who worked at the domaine until his retirement in 1989. When Joseph passed in 1982, his son Olivier took his place managing the family’s domaine. When Vincent retired in 1990, his daughter Anne-Claude joined Olivier at the domaine. Following Virot’s retirement, Pierre Morey (of Morey family fame) became régisseur, or winemaking director, a position he would hold until his own retirement in 2008. He was succeeded at Domaine Leflaive by Eric Rémy. Disagreements between Olivier and Anne-Claude Leflaive eventually led to a separation in 1994 with Anne-Claude maintaining sole management of Domaine Leflaive and Olivier leaving to focus on his own Maison Olivier Leflaive. 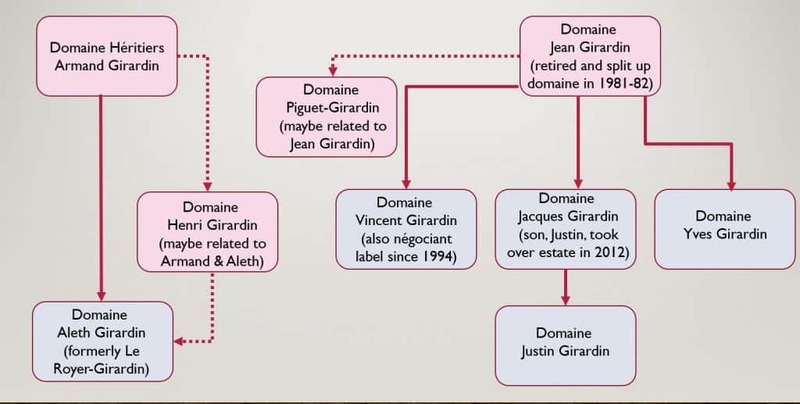 Following Anne-Claude’s death in 2015, Brice de La Morandiere (son of Joseph Régis’ daughter Marilys) assumed management of the family’s domaine. Domaine Leflaive (Puligny-Montrachet) founded in 1905 by Joseph Leflaive and today ran by his great-grandson Brice de La Morandiere. With around 25 ha (61.8 acres), Domaine Leflaive is the single largest producer of Grand and Premier cru quality wines in Puligny-Montrachet. In the 1990s, with the aide of consultants François Brochet and Claude Bourguignon, Anne-Claude Leflaive led the estate to a complete conversion to biodynamic viticulture. The Grand Cru vineyard of Chevalier Montrachet. In many years Domaine Leflaive’s example from this vineyard will rival the Le Montrachet wines from other producers. Maison Olivier Leflaive (Puligny-Montrachet) founded in 1984 by Olivier Leflaive with his brother, Patrick Leflaive, as a negociant firm that now controls 17 ha (42 acres) of vineyards. 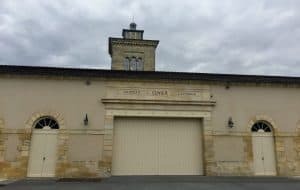 In addition to their own vineyards, the Maison also has contracts with growers tending to more than 100 additional hectares in Chablis, Côte de Beaune and Côte Chalonnaise. Jean-Marc Boillot (of Boillot family fame) was the estate’s first winemaker but since 1988 those duties have been carried out by Franck Grux. 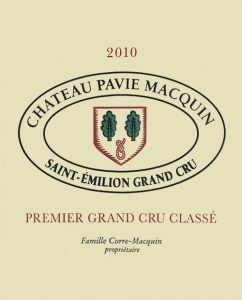 In 2015, the Maison’s interest extended to Champagne with a partnership with Erick de Sousa to make Champagne Valentin Leflaive. Tagged Anne-Claude Leflaive, Bâtard-Montrachet, Benjamin Lewin, Bienvenues-Bâtard-Montrachet, Bill Nanson, biodynamic, Brice de La Morandiere, Burgundy (Guides to Wines and Top Vineyards), Charles Taylor, Chevalier-Montrachet, Claude Bourguignon, Claude Leflaive, Clive Coates, Côte D’Or: A Celebration of the Great Wines of Burgundy, Domaine Leflaive, Eric Rémy, Erick de Sousa, Franck Grux, François Brochet, Jean Virot, Jean-Marc Boillot, Joseph Leflaive, Keeping up with the Joneses in Burgundy, Le Clavoillon, Leflaive family, Les Chaumees, Les Poruzots, Maison Olivier Leflaive, Making Sense of Burgundy, Marc Le Flayve, Matt Kramer, Napoleonic inheritance laws, Olivier Leflaive, Patrick Leflaive, Pierre Morey, Puligny-Montrachet, Remington Norman, The Finest Wines of Burgundy, The Great Domaines of Burgundy, The Wines of Burgundy, Vincent Leflaive.